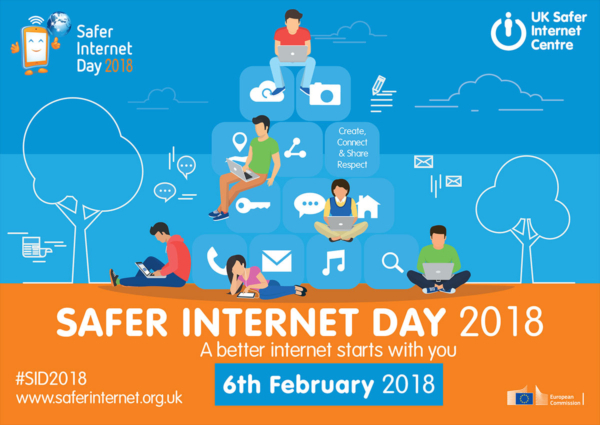 This year, Safer Internet Day is on Tuesday 6th February 2018. As a whole school we will be supporting Safer Internet Day and our Digital Technologies faculty will be promoting the event with our students during lessons. Safer Internet Day helps to highlight positive uses of technology and how we can all help to create a better and safer internet community. More information can be found on the UK Safer Internet Centre website.